Scuttle the crab rescues a beach ball from his rock pool and it ruins his life. 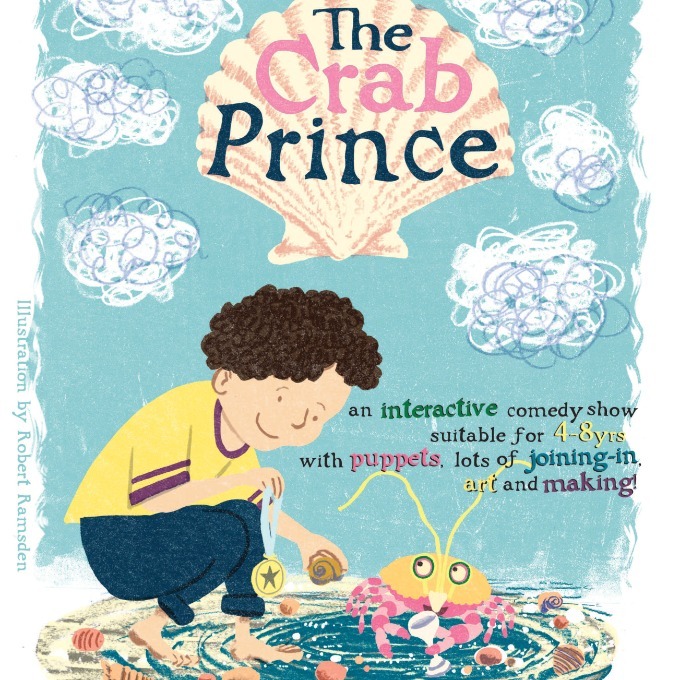 Comedy with puppets, songs and a chance to save the day. Joanna starred in CBBC series “So Awkward” as Mrs Jones. “Jo’s sense of humour is infectious and she’s got the knack of being able to make the show fun for young and old! Our kids loved getting involved with drawing and storytelling, it was entertaining for the whole audience. Highly recommended” Guide age 4 -8.